Hello everybody, my dear friends. 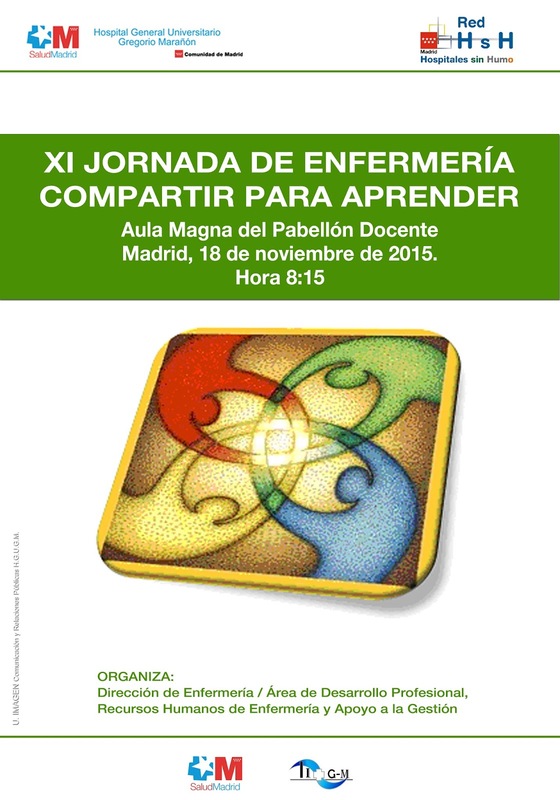 Tomorrow Wednesday November 18th will be held in Madrid the XI Nursing Conference “To share for learning” in the Aula Magna of the Pavilion teacher of the Hospital General Universitario Gregorio Marañón. The aim of the Conference is to disseminate and share some of the work produced in the last two years by nursing professionals. The Scientific/Organizer Committee has worked on an interesting and attractive program (only available in Spanish) in which there are hot topics. We fully share the title of the Conference, because the members of the IC-HU project think that what is not given is lost, and we are always willing to learn. So, see you tomorrow. It will be our pleasure.